We can debate about the Apple Watch’s practicality all we want, but it cannot be denied that the device has transformed into a fashionable wearable of late thanks to a boom in both first-party and third-party bands, some of which happen to be from prominent fashion brands, like this upcoming collection from Coach. 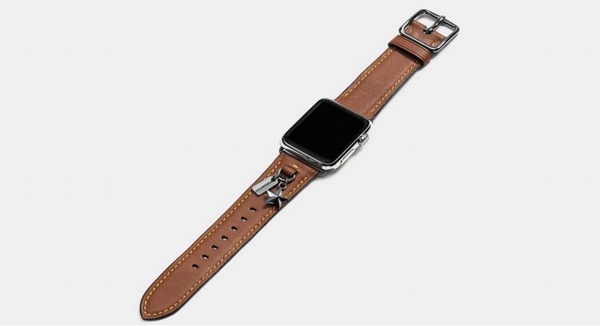 Following Apple Watch Hermès edition, and Hermès standalone band-collection for Apple’s wearable, it seems like fashion brand Coach is ready to jump onto the Apple Watch bands bandwagon as non-public listings of its Apple Watch bands have been found on the brand’s official website, followed by a confirmation from the company that the said bands will be arriving in all Coach stores by June 6th. Coach managed to get some attention a month ago when photos of the boutique’s band creations for the Apple Watch first leaked onto the Internet. Now with the listings being hunted down on Coach’s own website, as spotted first by 9to5Mac, it appears that the previously leaked photos and the information that went along with it, stands substantiated. One of the leaked listings reveal a glovetanned leather strap with metal charms for Apple Watch, while the other reveals a wild beast camo leather strap made out of fine-grained calf leather. There’s also tea rose applique leather strap which is “finished with die-cut leather blooms, each one debossed, printed, edge-painted and affixed by hand with a custom rivet”. Earlier leak revealed that Coach has at least 8 new colors or designs to offer once its Apple Watch bands are officially introduced. We are hoping that is the case when the bands make their debut come June 6. As for pricing, it appears that the bands will have a starting price of $150.